For the past five months I have been working on a side project that IS…NOW…FINISHED. Written by Jen Stevenson, it’s a guidebook of all the best places to eat in Portland, Oregon. Between her hilarious writing style, meticulous research (seriously, who else eats three dinners a night?) and single-minded obsession with food, I think this one is a keeper. Your chance to become a champion face stuffer. Jen writes the blog Under the Table, and follows the mantra of “if you don’t have anything nice to say, don’t say it at all”. It’s refreshing to work with somebody who focuses on the positive, and we all know it gets a bit tedious to sift through thousands of polarizing Yelp reviews. Instead, Jen only features what she considers is the best, and leaves the rest up to you. 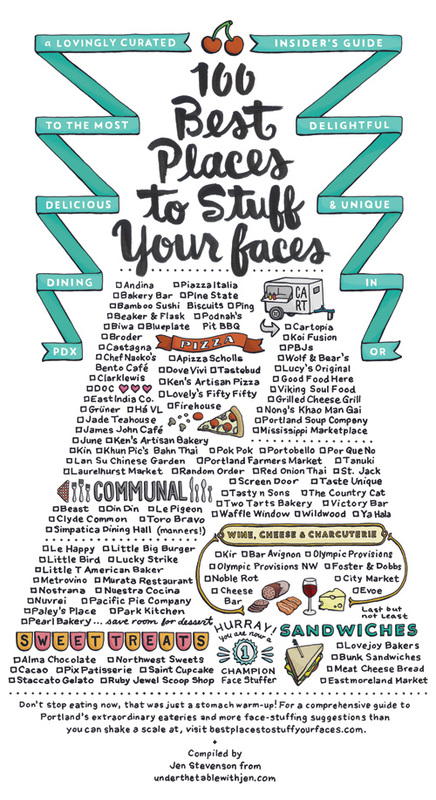 How you decide to stuff your face is, as we all know, a personal preference. Primary Diagram: How to Properly Stuff Your Face. Put a bird on it, Southeast Portland! To Jen’s credit, she chose the high road in the production phase by printing the book at local Brown Printing instead of producing the book in China or through an online vendor with less material options and size limitations. With 220 pages of reviews and tips, over 80 illustrations and the afore-mentioned custom maps of Portland (whose streets do not care if you want to be orderly and label things in a consistent manner) this project was an undertaking, but well worth it. 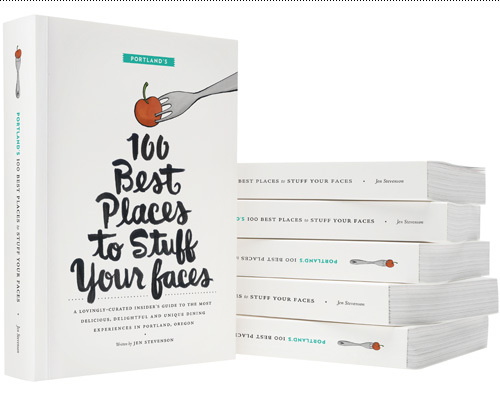 If you’re interested in the guidebook, you can buy it directly at www.bestplacestostuffyourfaces.com. If you’re competitive or like checking things off of lists, you can track your face stuffing progress with the Eat Sheet. Enjoy! 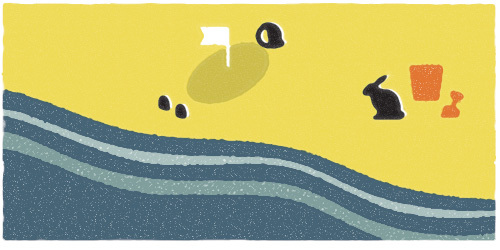 Here’s a sneak peek at a very large side project I’ve been working on for the past 5 months. Much more, coming soon! The genesis of this project started quite a ways back, in ’05 or ’06 when Kyle Durrie took a letterpress class from me at the IPRC. 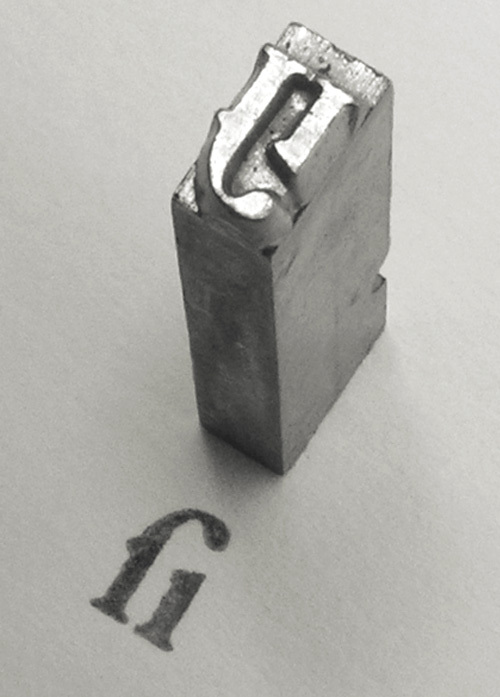 I teach there frequently, so I see many students come and go with varying levels of interest in letterpressing. Many dabble a bit but never fully embrace the craft of it, which requires patience, skill and more patience. Kyle, however, decided to make it her mainstay and formed Power and Light Press. A few years later we both became members of Em Space, a printing and book arts group. 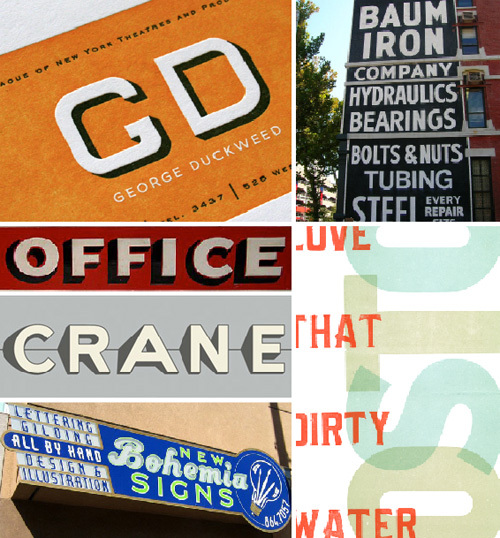 There I got to know her a bit better, her effervescent nature and gusto for everything letterpress. So I wasn’t surprised when she put up this Kickstarter video for her latest idea: building a mobile print shop and touring the US teaching letterpress. 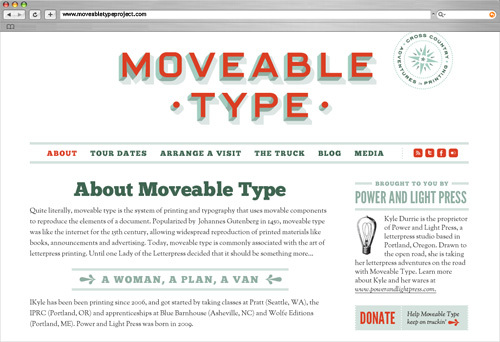 The project got funded and I was thrilled to imagine Kyle in her trusty letterpress van on the open road, nothing but her and some moveable type. Wanting to get in on the action, I offered up my computer skills so she could have a logo and website to help make her adventure an even bigger success. Kyle gave me some inspiration to start with, from which I made this hand drawn 3D type reminiscent of both old building signage and of those interchangeable letters that Gutenberg thought were a good idea. Turns out he was right. Damn, that's some hot type. A couple of alternate logotype treatments. Matthew Johnson also volunteered to help out by setting up a wordpress site that Kyle could update with the latest events from the road. Follow along on her adventures, see when she might stop by your town, or request a visit from one of Portland’s leading ladies of letterpress at www.type-truck.com!